Fuel is the single greatest expense in the life cycle of a heavy truck. The deep-well cavities of heavy truck wheels create unwanted turbulence, which decreases fuel efficiency. 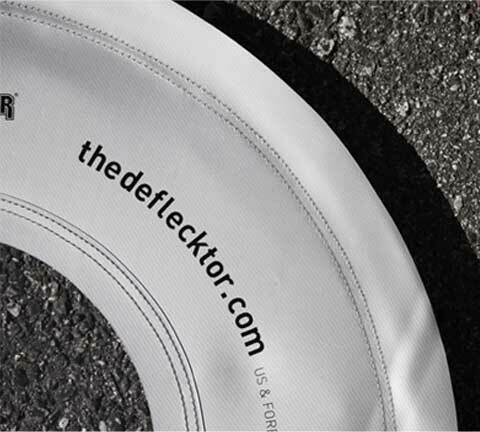 The Deflecktor Aero Wheel Cover’s patented design reduces this turbulence. In twelve separate, rigorous SAE type 2 J1321 fuel efficiency tests over a two-year period by Schneider National, one of the largest truck fleets in the US, the Deflecktor Aero Wheel Cover saved approximately 1% in fuel costs per set of four wheel covers. A tractor-trailer combination can expect fuel savings of up to 2% when installing covers on all eight wheel ends. Deflecktor Aero Wheel Covers are the most cost-effective, aerodynamic wheel solution available on the market, providing immediate return on investment. View our selection of Deflecktor Wheel Covers and learn more here. This entry was posted in Product Reviews and tagged Deflecktor Aero Wheel Cover, Deflecktor Wheel Covers, Ryder Fleet Products by ryderfleetproducts. Bookmark the permalink.